Three new TV spots for director Joe Wright’s (Hanna, Pride & Prejudice) adaptation of the Leo Tolstoy classic Anna Karenina have landed online. The romance pic stars Keira Knightley as an adulterer who questions her happiness, and Wright has boldly chosen to set most of the film’s action inside a rundown theater with over 100 interconnected sets that allow the action to move fluidly through a door and into a separate setting entirely. The stunning visuals are on full display in these TV spots, highlighting the gorgeous settings in which Knightley, Jude Law, and Aaron Johnson interact. Hit the jump to check out the TV spots, and click here to read Matt’s review of the film from the Toronto Film Festival. The pic also stars Kelly Macdonald, Olivia Williams, Matthew Macfadyen and Domnhall Gleeson. 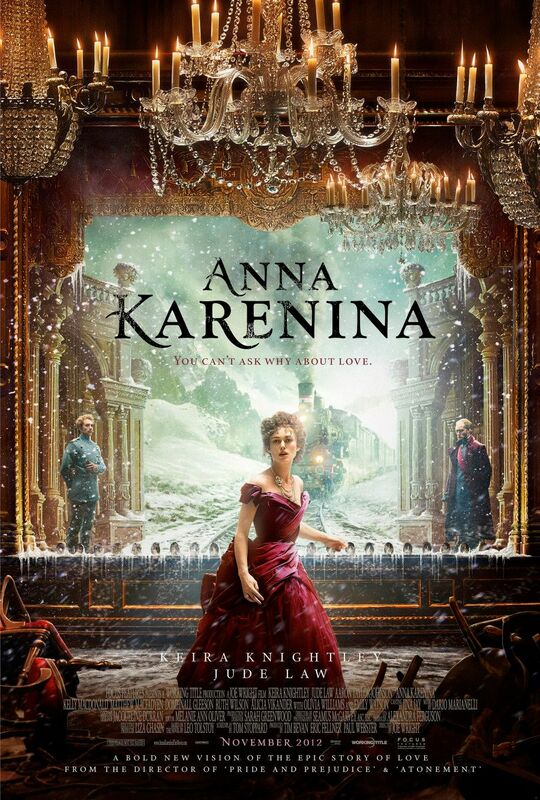 Anna Karenina opens on November 9th.